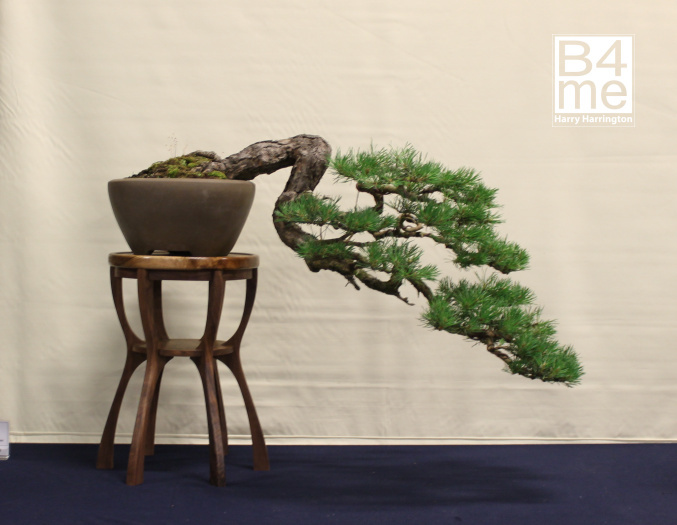 Scots Pine bonsai by Robin Hereward Isaac. 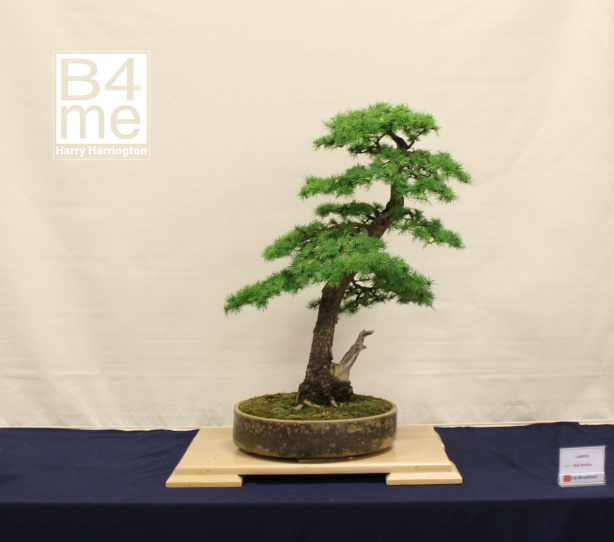 Larch bonsai by Bob Burton. 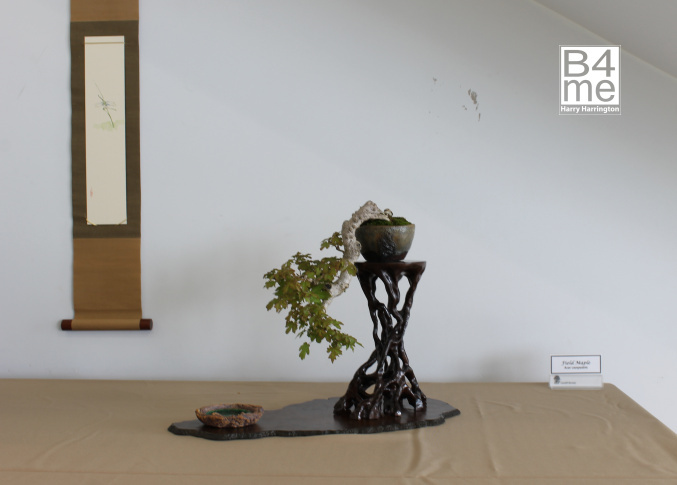 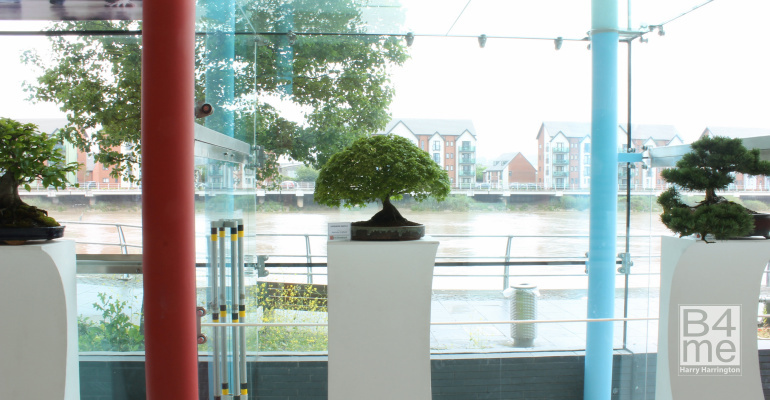 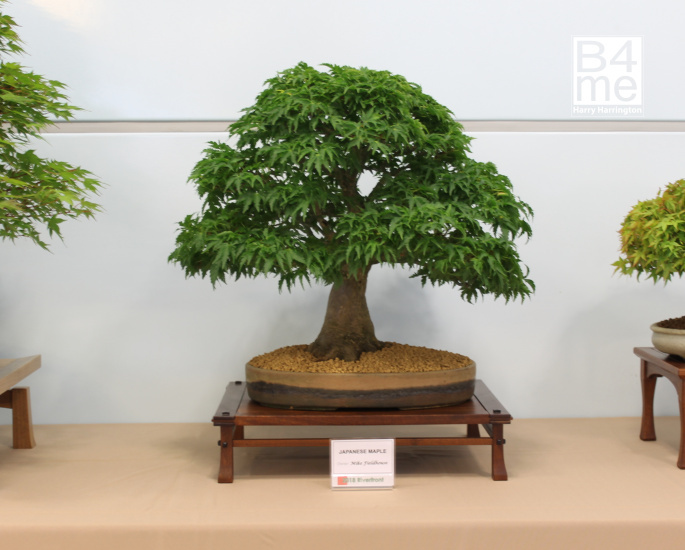 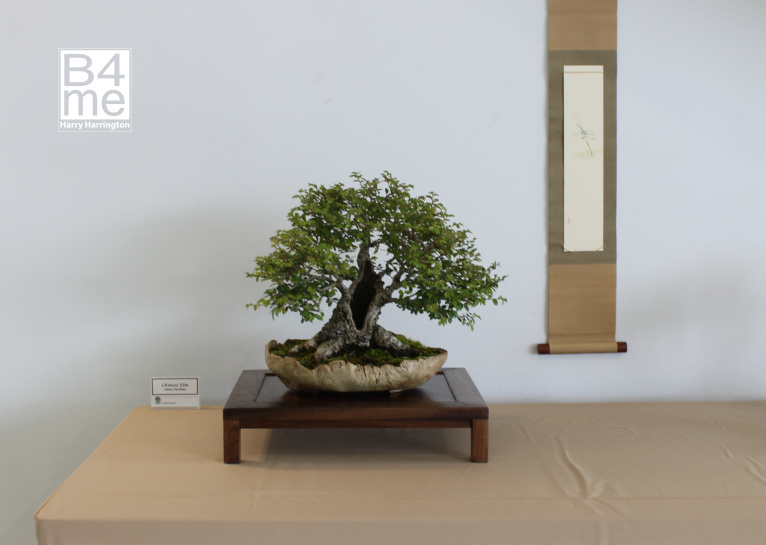 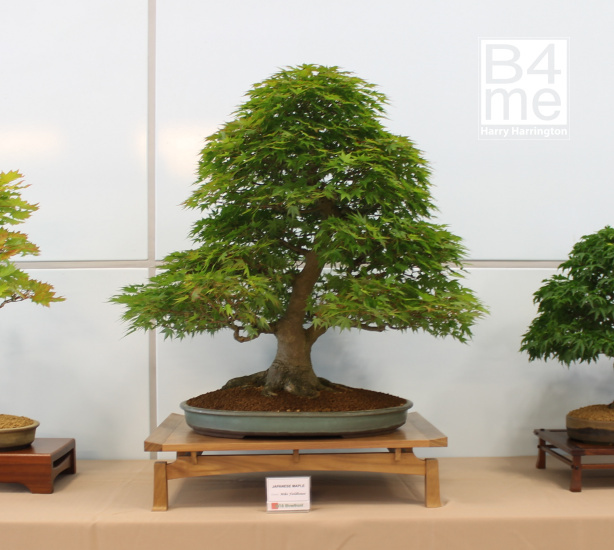 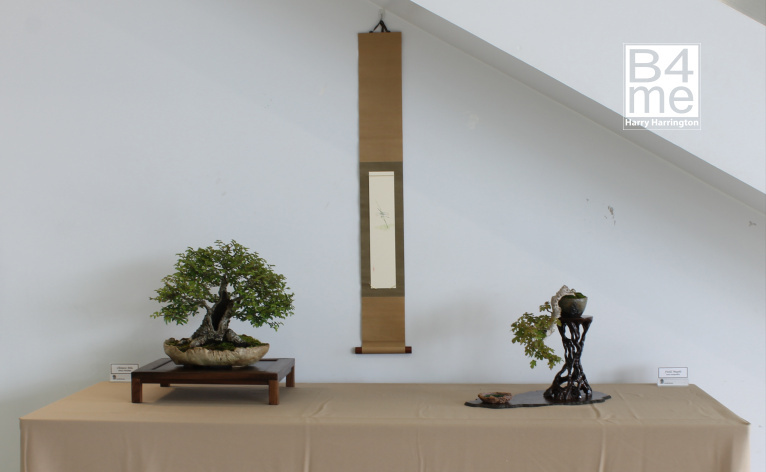 Chinese Elm bonsai and Field Maple bonsai display by Cardiff Bonsai. 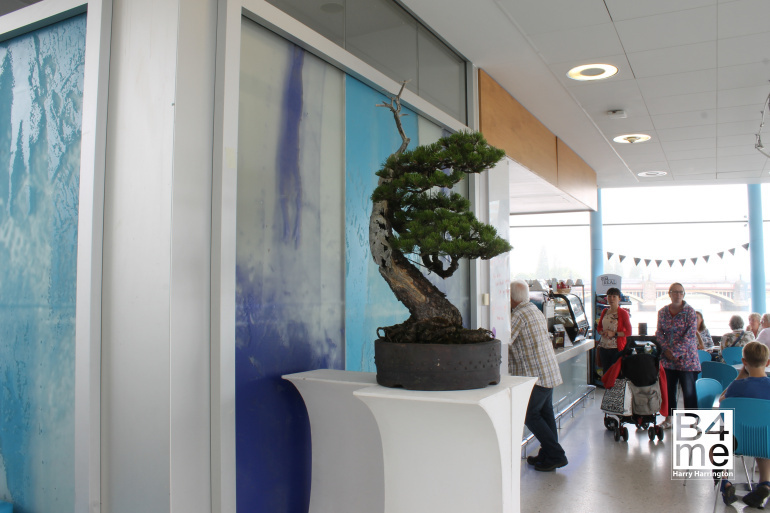 Scots Pine bonsai at the entrance to the cafeteria. 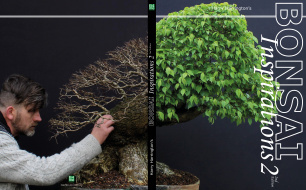 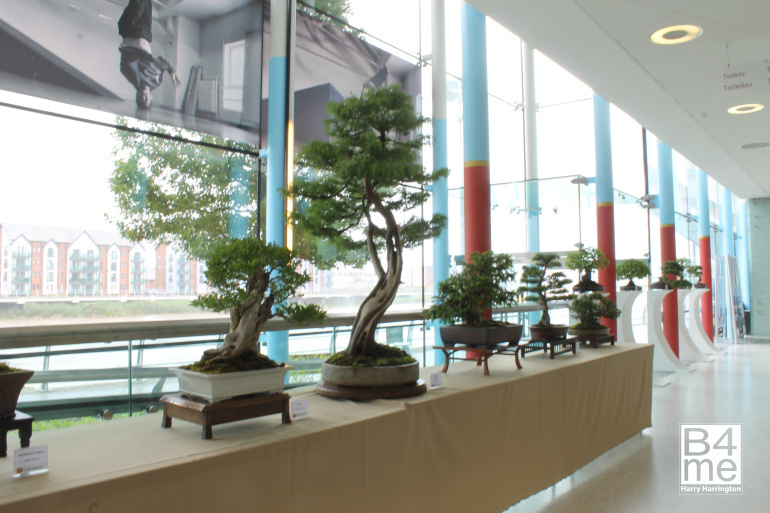 The Cardiff Bonsai Society display. 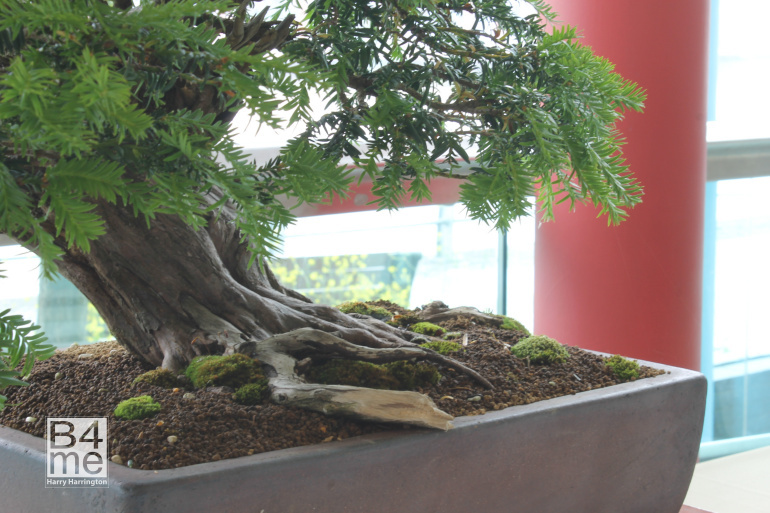 Detail of the beautiful surface roots of a Yew bonsai. 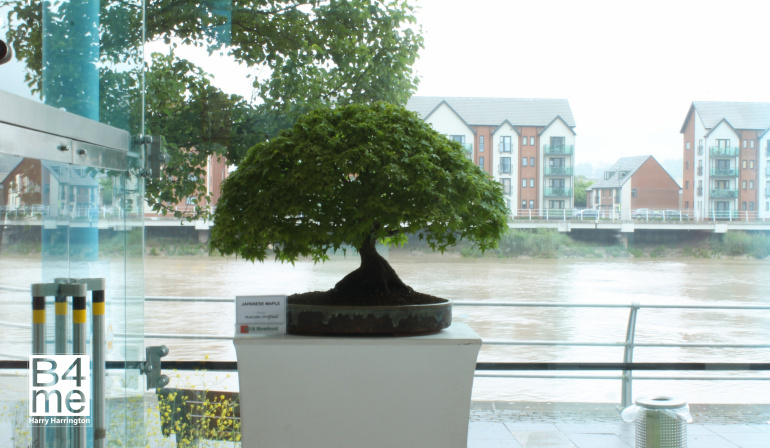 Japanese Maple by Malcolm Driffield.